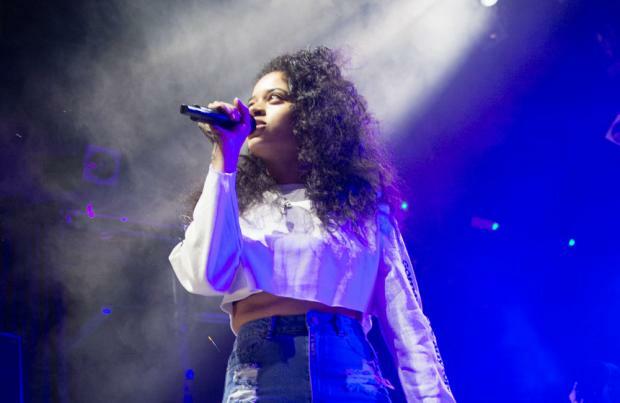 Ella Mai, Dermot Kennedy and Mahalia have made the longlist for the BBC Music Sound Of 2019. The rising R&B star, Irish singer/songwriter and 'Brotherhood' star join Grace Carter, MC Flohio, multi-instrumentalist King Princess, French star Octavian, Spain's Rosalia, four-piece Sea Girls and British rapper SlowThai in the prestigious poll. Annie Mac commented: "The Sound Of longlist is filled with incredibly talented people and is a real reflection of where music is heading in 2019. "So many of the artists are truly innovating in their fields. "It's exciting to champion new music across the BBC and share these artists with the audience. "2019 is going to be a very special year." James Stirling, Head of BBC Music & BBC Music, added: "For 17 years the BBC Music Sound Of list has been celebrating exciting up-and-coming talent and this year we are proud to recognise the work of such an eclectic mix of musicians. "There's a wealth of talent coming through and I look forward to seeing the artists build their reputations in 2019." This year's award went to Norwegian star Sigrid, who recently announced her debut album 'Sucker Punch', and has gone on to secure support tours with Maroon 5 and George Ezra next year. She said: "BBC Music's Sound Of 2018 helped me so much with reaching a new audience and giving my music some extra exposure on the radio. "I'm still very thankful for being chosen as this year's Sound Of, and I am so excited to see who this year's winner will be!" Previous winners have included Dua Lipa, Florence + The Machine, Sam Smith and Rag'n'Bone Man. The daily countdown of the Top 5 will kick off on January 7, during Annie's show on BBC Radio 1 (7pm to 9pm). With the winner announced on January 11.